As a hurricane moves over the Gulf of Mexico Loop Current, the hurricane often intensifies to severe (Category 3) status due to the deep warm water and the sustained air-sea fluxes feeding the storm. Given that the Gulf is a semi-enclosed basin, these intense hurricanes will make landfall and significantly impact coastal ocean processes. This webinar will highlight how measurements – such as ocean current, temperature and salinity fields – are used to evaluate coupled forecast models and improve hurricane forecasts. Join us for a webinar on August 28 at 12:00 PM. As a hurricane moves over the Gulf of Mexico’s Loop Current, hurricanes often intensify to severe (Category 3) status due to the deep warm water and the sustained air-sea fluxes feeding the storm. Given that the Gulf is a semi-enclosed basin, these intensifying hurricanes will make landfall around the Gulf and significantly impact coastal ocean processes. In this context, it is critical to understand the 3-dimensional oceanic velocity response of the Loop Current and its complex warm and cold eddy field to hurricane forcing. This allows scientists to accurately evaluate dynamical loading on marine oil facilities and to assess mixing and dispersion of oil products through the water column. In addition, it is critical to understand the vertical extent of wind-forced ocean processes such as upwelling and downwelling of isotherms. In this context, measurements of ocean current, temperature and salinity fields prior, during, and subsequent to hurricane passage are critical to resolve these upwelling and mixing processes. Measurements also provide reference data sets to initialize, evaluate, and validate coupled forecast models. As part of NOAA’s Hurricane Field Program over the past two decades, profilers have been deployed in the LC from NOAA research aircraft during hurricanes Isidore and Lili, Katrina and Rita, Gustav and Ike, Isaac and Nate. During Nate, the Gulf of Mexico Research Institute sponsored EM-APEX floats measured the hurricane-induced ocean response to the strong winds. These profiler measurements are cast into 2-dimensional satellite fields derived from multiple missions to estimate oceanic heat content, mixed layer and isotherm depths, and sea surface temperatures as part of ongoing research with scientists from NOAA-NESDIS. The oceanic response affects physical processes as well as biochemical processes and the ecosystem through upwelling, mixing and transport throughout the water column. Dr. L. K. (Nick) Shay holds a Ph.D. and a M.S. in Physical Oceanography (Applied Math minor for the Ph.D. specializing in upper ocean response to strong atmospheric forcing events) from the Naval Postgraduate School, and a B.S. in Physical Oceanography from Florida Institute of Technology. He is currently a Professor in the Department of Ocean Sciences at the University of Miami’s Rosenstiel School of Marine and Atmospheric Science and directs the Upper Ocean Dynamics Laboratory. He has published over one hundred fifteen peer-reviewed publications in top tier journals and books and has chaired or served on forty student committees. The overarching goal of the research is to conduct scientific and technological investigations that require both basic and applied research activities that have societal relevance at its core. In this context, research interests include: experimental and theoretical investigations of the ocean response and coupled air-sea interactions during strong atmospheric forcing events (tropical and extratropical cyclones, atmospheric jets, fronts), Loop Current effects of the atmospheric boundary layer, coastal oceanographic process studies associated with the Florida Current, radar oceanography using high frequency radar and satellite altimetry, and velocity profiling techniques from floats and aircraft-deployable measurements. 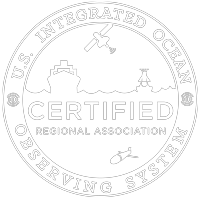 A large fraction of this effort has been in and above the Gulf of Mexico and northwest Caribbean Sea and is directly relevant to multiple NOAA missions, BP-sponsored Gulf of Mexico Research Initiative and the NAS Loop Current Program. Shay and his colleagues developed the ocean heat content monitoring from space-based systems for tropical cyclone intensity forecasting that has been in use for the North Atlantic and Pacific Ocean basin – now operational at NOAA NESDIS and UM. Working with Teledyne Webb, developed a float capable of measuring physical and biochemical processes that can be deployed from ships and aircraft. Dr. Shay is an elected fellow of the American Meteorological Society in 2012, was part of the NASA Genesis Rapid Intensity Program Team receiving an achievement award (2011) for participation in the field campaign, and more recently was awarded the Richard H. Hagemayer Award (2016) by NOAA’s Office of the Federal Coordinator of Meteorology.